Show me the money! 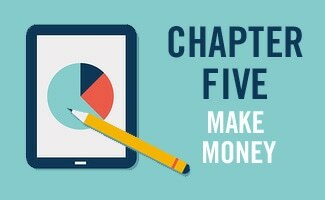 That’s right, now that you’ve gotten the word out about your website in Chapter 4 of our building your own website series, it’s time for Chapter 5 and how to figure out how to make money. If you are an online retailer, the financial path is rather obvious. However, if you’re a blogger, it’s probably not so straightforward. So, I am excited to share with you a couple of different ways that you can make money with your site and have a little fun along the way in this fifth and final phase of the website development process. Why Do I Need to Convert Visitors? So now that you’ve got all these visitors coming to your site, what are you doing to convert them into paying customers. But, back it up a minute, not everyone’s goal is to sell. Maybe you were looking to sign up new email subscribers. Or maybe you’re seeking people to watch your crazy antics on YouTube. Since you’ve been working through this web series diligently, you’ve already defined your business goals and now you are ready to learn the tricks and tips to change those goals into reality. Whatever your business goal is for your website, you will want to optimize your website to make it more successful at converting your visitors into loyal customers. Of utmost importance in our modern age of rampant identity theft fraud, is making sure that your platform not only allows a user-friendly shopping experience but also provides a high level of security to keep your customer’s data safe and secure. 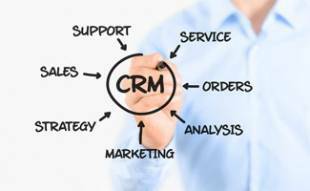 Once you’ve sold the product, you will need to find the most effective way to deliver the product or service to your customer. You may be able to do this electronically if it is an e-book, or even in person if it is consulting or another more personal service. However, the bulk of online shopping is for physical products the require shipping. So, you will want to explore your options to find what is best for your business: direct shipping, drop shipping or even selling through a third-party retailer. Read More: What is Dropshipping? Lastly, you will need to keep track of your inventory as you make, store and sell your goods. Finding the best inventory management system will be key to your success in tracking profitability as well as your Cost of Goods Sold and other accounting items. It may sound boring, but this is all part of business ownership and management and will definitely come into play at tax time. Offering other products and services space on your site to advertise is another way to make money. This revenue can help defray the costs of running your website. If you sell a product, you probably don’t want to directly promote competitor’s products. So online advertising may be a good option for you since it can allow you control over who advertises and what they advertise. Other online businesses may be interested in advertising on your site if it’s in a related category, especially if you’ve got solid traffic. Online advertising is a really great tool for bloggers and other content-intensive sites. 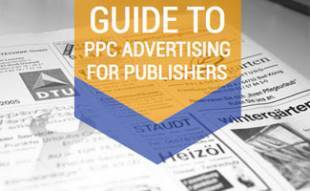 Generally, online ads generate revenue for the website owner on a Pay Per Click (PPC) basis. This means that if someone visits your site and then clicks on an ad, you make a few pennies. If you have experience in sales, this may be right down your alley! But, if you are more like me, you may not be so comfortable putting yourself out there in this manner. Love sales – go the direct ad route and you will reap the rewards with higher margins since you don’t have to pay the middle man a commission. Or, if you are too busy to deal with it, you can work through a company like BuySellAds that will help manage it for you. As your traffic grows, more people will come to you directly asking to advertise on your site. So, it’s good to do your homework and be ready to know how you wish to manage this process when it is time. Another way to make money through online banner ads is via Google AdSense. It’s a free program that literally senses the content on the page and what would be interesting for the reader based on recent search history to serve up ads that are most relevant to that person. If you use Gmail for your email, you’ve likely seen the ads at the top of your inbox that are related to something you’ve recently been researching and seems creepily relevant to you. Yep, that’s the magic and weirdness of Google. But, it works! And, you get a percentage of any click through Pay Per Click (PPC) revenue earned by Google for your visitors leaving your site to go to the advertised site. No matter how you decide to do online advertising, you will want to think about the best place on your home page, side bar and articles to post banner ads to maximize earnings. This website optimization is not a one and done process. It is something you will want to revisit on a regular basis to re-evaluate (based on your analytics data) what is working, what isn’t and how can you make it all even more effective to earn you more cash. 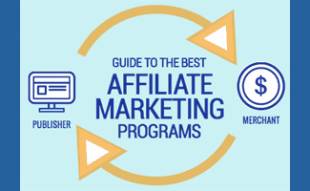 Affiliate marketing is essentially when you provide a link from a partner on your site to that company’s product or service and you receive a percentage of the sales. This may be a good option if you’re looking to refer customers to other vendors and make some cash for your referral. This is kind of like good old-fashioned word of mouth marketing, only online and often with people you do not really know. This is a growing industry and could be another great money-making avenue for bloggers and content-driven businesses. This is an area that we specialize in, so you will learn a lot about how to make this work for you on this site as we continue to dig deeper into this web series. Okay, maybe you just built your website, so the last thing you want to think about is selling it. But, oftentimes the best time to plan your potential exit strategy is right upfront so that you have everything aligned just in case an opportunity arises! 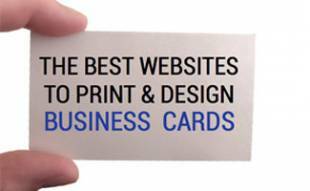 You have to admit that selling your business or website could be a great way to monetize your website. Whether it is core to your business or a technological asset, it has value, and someone may be willing to pay you multiple years of revenue to own and operate it themselves. It’s always nice to feel wanted but do you want to sell? Thinking through this is complicated, so let’s take the time to examine the possibilities completely and plan accordingly. Congratulations, after lots of hard work, you are now experiencing the steady stream of web traffic, customers and revenue as a result of launching your new website! Enjoy it and pat yourself on the back. After all, you are a certified Web Guru. But, don’t get too comfy… the online world is an ever-evolving environment that requires constant vigilance and attention. The good news? You’ve now got all the tools to reach and surpass your goals online and that is an exciting opportunity! Michelle has been obsessed with marketing most of her life and bringing it all online makes it even more exciting! She prides herself on always staying up on the hottest apps and tech tools to make life more fun and productive. When not geeking it out, you can find her on a hike in the mountains or cooking up a vegetarian meal in the kitchen. Best Marketing Automation: Salesforce vs Infusionsoft vs HubSpot vs Marketo vs Eloqua vs GetResponse & More! Adsense Alternatives: Media.net vs Adsense vs Chitika vs BuySellAds vs Infolinks vs Bidvertiser & More!